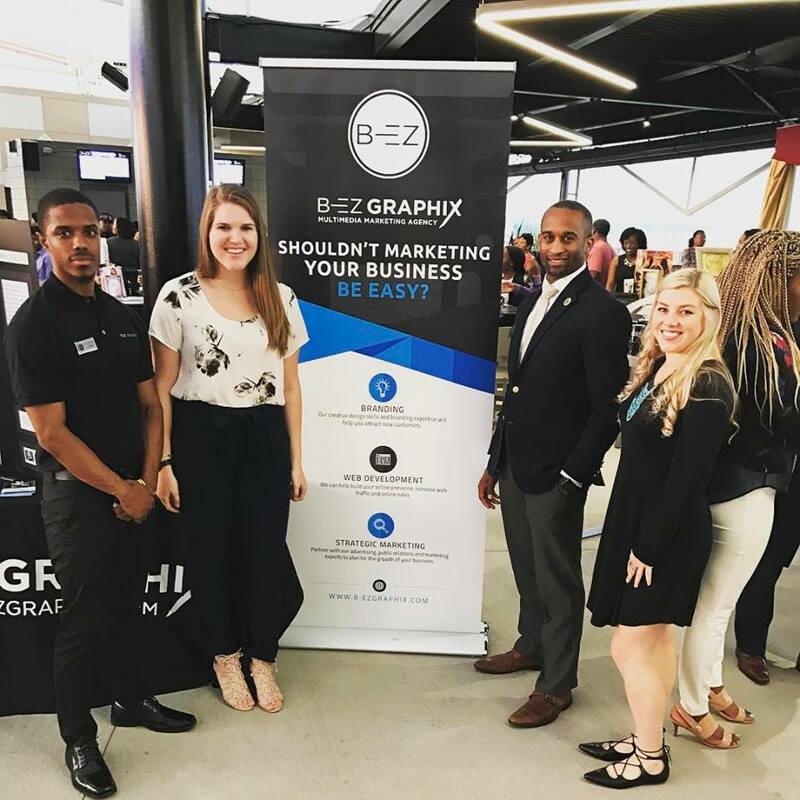 For the first semester of 2017 I had the honor to intern for B-EZ Graphix. Their goal is to make starting and maintaining a business easier for you. They start with creating a logo design, then build your website and next a team of marketers use social media and other techniques to promote your business. The minority, veteran owned business does a great deal of non-profit work to help individuals get started. Even though there are different branches within, we all worked together as a team. The tight knit communication helped everyone come up with new ideas, events and challenges. Brian Wyatt, the owner, would often come up with fun challenges driven by incentives. He was always very supportive, reliable and helpful. I learned how to use my communication and graphic skills in order to help others build their businesses. It was an awesome feeling to get such positive feedback from my clients. We would start by meeting with the client, so we could talk to them personally and learn about their business plans. Then, they would fill out a form to help us better understand how they would like to be represented by their logo. In a few business days I would design three logos displayed on three different backgrounds for the client to choose from. Sometimes, we would combine ideas or make minor changes until the client felt properly represented. I would then save it in each possible version so their logo could be displayed on any background and be internet compatible. From there, the other team members would design the client’s website and market their brand. B-EZ Graphix is very community oriented. They continuously participate in community events such as Working Class Wednesday. It was fun to go and market my myself and meet other business owners. It was even better to see the banner I worked on designing at our booth for Working Class Wednesday at University Center Club. I learned so much from B-EZ Graphix and am excited to continue designing in the future.